What do you get your Mother in Law for Christmas? I’ve tried about everything. The one thing that gets the best results is anything handmade. She loves everything I’ve made her. I’ve made pillows, quilts, wall hangings, and this year it’s a table runner. 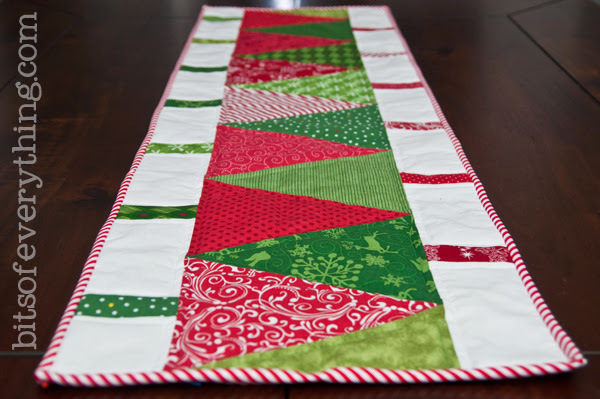 I’m actually going to make this same table runner for my mom and my mother in law. I love how this table runner looks different from each side. One side you see red trees, the other side you see green trees. I’m not sure whose pattern this is, but I have seen it several places. I even found a tutorial online for it too. You really don’t need a pattern, just some measurements. I don’t have any fancy tools to cut the triangles. I just made a simple template out of paper and cut around it. Make sure your triangle is 9 inches tall and the base is 7.75 inches. Be sure to check the spacing of your tree trucks to make sure they line up with your trees before you sew all of them. You may need to adjust a little. (I did!) Finished size is 15 inches by 48 inches. I loved sewing this runner. It came together very quickly and I just love how cute it turned out. I’m sure my mom and mother in law will love it! If you make Christmas related items for your gifts, make sure you give them early so that they can enjoy them this year and not have to wait until next year! Don’t forget to check out Jonie’s gift for her mother in law. This is SO cute! I was just telling my mom I needed a christmas table runner! I might need to bust out my sewing machine and give this a try! Did you quilt it and what kind of backing did you use? Did you quilt it and what kind of backing did you use? This is the first time i’ve Seen it. This is gorgeous! I really need a Christmas table runner. I am kind of excited that Christmas is here! This turned out so cute! I bet your mother in law is going to love it! I know I would. Oh this is great! Such a sweet table runner. I love how it’s so obviously trees but not annoying to cut/sew! I need a table runner! Thanks for the great tutorial! 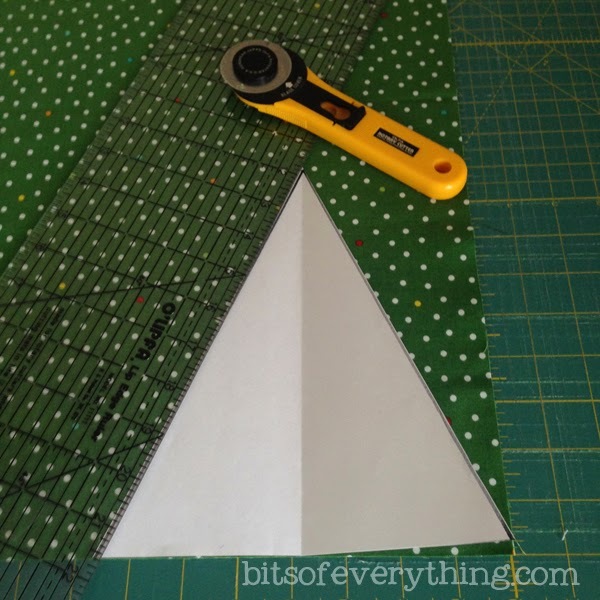 I am new to quilting…how did you quilt this all together? You have the 11 white spacers cut at 3.5x 6.25. I accidently cut mine 3.5 x 6.5, and it worked out perfectly, no need to adjust anything…was your instructions a type-o? I watched the video from Missouri quits and she did use 6.5” x 3.5 for the spacers. icke receptbelagda priser, http://sverige-apotek.life/finasept.html , köpa billigt USA. 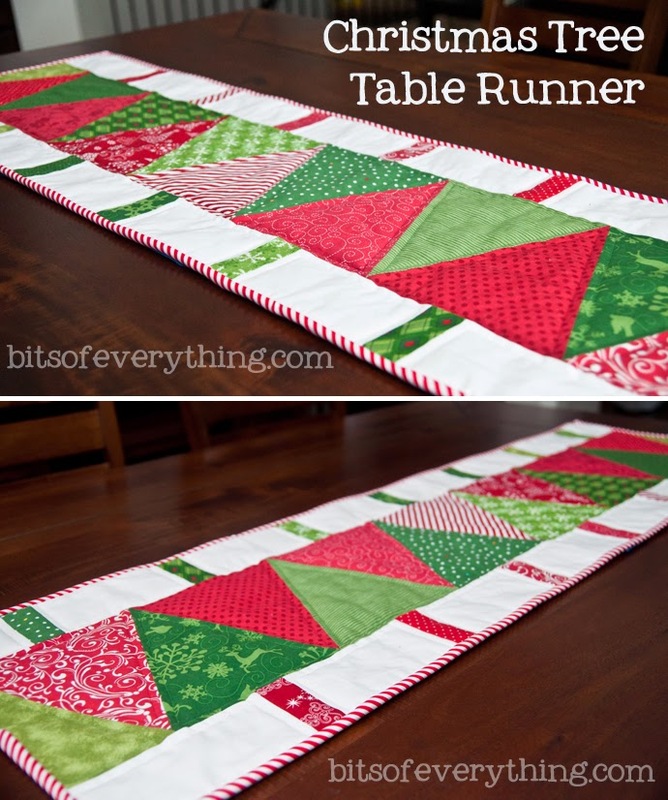 The quilt table runner with the xmas trees down the center looks like the one that Missouri Star Quilt Co came out with – they do have a website and you can probably find the pattern on there.